Christian Jacobs 2E0ICL has released a video of his recent contact with Peter Goodhall 2E0SQL via the new amateur radio FM satellite BY70-1. The satellite was launched into orbit on December 28, 2016. This is orbit #27. Christian Jacobs 2E0ICL has also released a video of his recent FM contact via the SO-50 satellite during a recent Summits On The Air (SOTA) activation at Walbury Hill (summit identifier G/SE-001). A total of 13 contacts were made, mostly on 2m SSB, including some FM satellite working via SO50 with 10 watts to an Arrow dual-band antenna. A CZ-2D rocket carrying the amateur radio FM transponder satellite BY70-1 was launched on Wednesday, December 28 at 03:23 UT. The launch from the Taiyuan Space Launch Center was planned for December 26 but postponed due to adverse weather. It had been planned it would go into a 530 km circular Sun-Synchronous Orbit (SSO) but instead the orbit appears to be 524 x 212 km which will give an orbital lifetime of just one or two months. 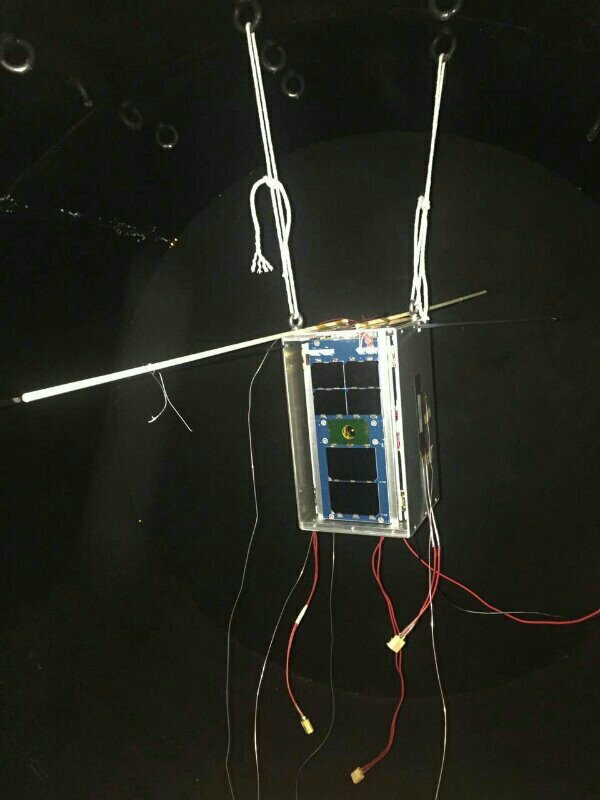 BY70-1 is a 2U CubeSat project for school education and amateur radio. It features 3-axis stabilization and deployable solar panels. In addition to the FM transponder BY70-1 has a camera and it is planned to download images and telemetry via a 9600 bps BPSK downlink. A 67 Hz CTCSS (PL Tone) is required. His rig supports 2.5 kHz channel spacing, for 5 kHz step rigs just omit the intermediate channels. Note: If your rig has selectable FM filters the wider filter should give better results.